Gionee Marathon M5 Is Now In The Philippines Too! Goes With 6020 mAh Of Battery For 11999 Pesos Only! Home / gionee / mobile / news / Gionee Marathon M5 Is Now In The Philippines Too! Goes With 6020 mAh Of Battery For 11999 Pesos Only! Another surprise! Together with the Gionee Elife E8, Cell Prime and CloudFone also announced that the much hyped Gionee Marathon M5 smartphone with 6,020 mAh of battery is now in the Philippines as well. The Marathon M5 aside from being one of the phone with largest battery capacity in the world goes with a slim profile of just 8,6 mm. It also has most of the same specs found with Gionee Elife S Plus like the 5.5 inch AMOLED screen, 3 GB of RAM, 16 GB of expandable ROM, 13 MP rear camera, 5 MP selfie camera, LTE connectivity and USB Type C tech. The difference is in the SoC, this device rocks the MT6735 64 bit quad core processor instead of the MT6753 by MediaTek. For the price of just 11,999 Pesos, this is an awesome deal if you really wanted a phone that can lost for a very long while in terms of battery life. 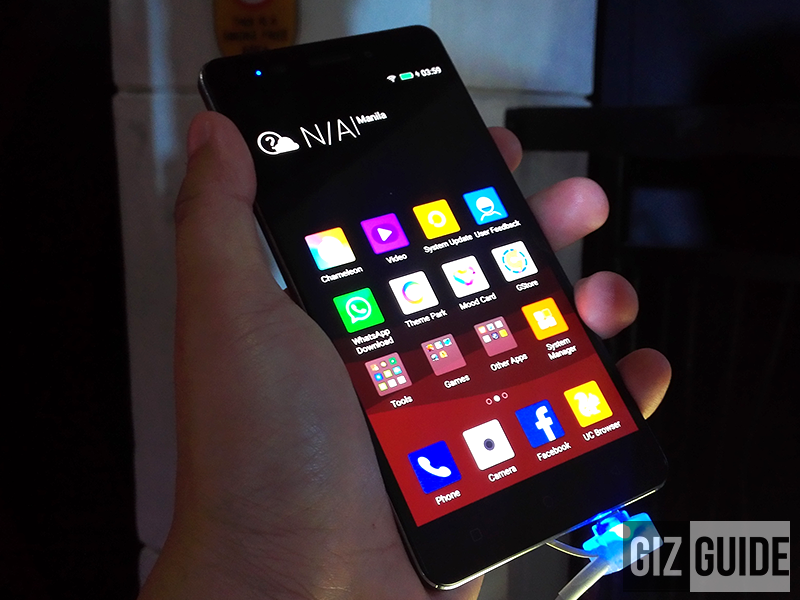 For our Gionee Marathon M5 Impressions: Click Here! Related: Gionee also announced the Flagship Elife E8: Click Here!